Make sure to hop on over to my Facebook page for Five Word Wednesday! The responses are a hoot and it is a great chance to win ANY item from my store :). Get ready for the giggles! I have been out of the blogging world for a while (new baby at home) but I used to stalk you like crazy lol… not sure if you layout it new but I LOVE!! Just thought I would let ya know! Ready for a laugh? 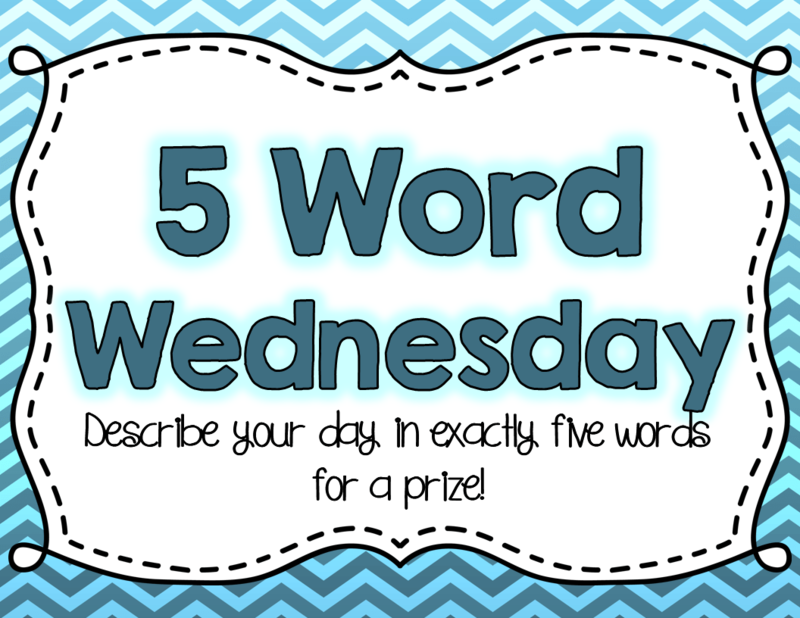 Head on over to my Facebook page and join in on the Five Word Wednesday contest! Share your day in exactly FIVE words. I will choose the best one and post it tomorrow. The winner can choose ANY item in my store!!! Click here to join in on the fun! !